Consumer evaluates a product based on the packaging. Not only the Package the quality of the packaging also plays a major role in the entire life cycle of the product. 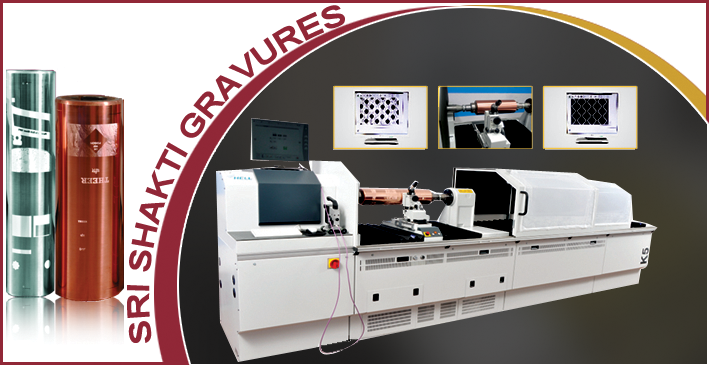 Sri Shakti Gravures Rotogravure Electronic Cylinders provides you that supreme quality engraving needs. Sri Shakti Gravures Rotogravure Electronic Cylinders was established in the year 2001. Since then Sri Shakti Gravures Rotogravure Electronic Cylinders are known for their supreme quality engraving cylinders. Induststandard dummy text ever since the 1500s.